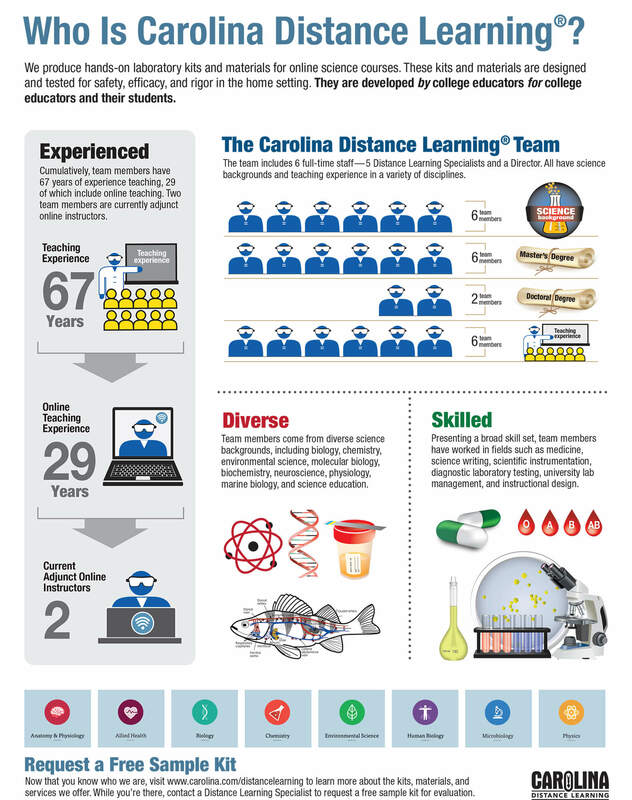 Infographic: Who Is Carolina Distance Learning®? We produce hands-on laboratory kits and materials for online science courses. The kits are developed by college educators for college educators and their students.